oOh!media has struck an exclusive long term partnership with data and analytics company, Quantium to provide out of home (OOH) advertisers with an Australia first in audience-targeting capabilities. The deal is part of oOh!’s digital and data strategy and is set to complement its existing suite of data insights and audience-profiling tools with Quantium’s customer transaction and behavioural data. “Our partnership will revolutionise the way advertisers can target growing audiences when they are away from home through geographically-specific data," oOh! CEO, Brendon Cook, said. “It provides the foundation for an audience-led future that will help advertisers to plan and measure OOH campaigns with greater effectiveness and efficiency. According to Cook, oOh! has already spent 12 months on data interrogation, developing a methodology to link Quantium’s data to oOh!’s data in a de-identified and privacy compliant way, while analysing the outputs they produce. “This agreement sets us on a very clear but differentiated path of building best in class data and follows Quantium’s other media partnerships with Facebook, MCN and News Corp Australia,” he added. Cook claimed the most compelling aspect of the Quantium data is that it is developed from billions of consumer transactions, capturing actual spending behaviour from the majority of Australians and allows advertisers to target audiences based on actual location and transactional behaviour. “Real buyergraphic data is used to build QSegments for targeting, rather than using assumptive demographics," he explained. "For example, it means we can help a telco target actual high-spending pre-paid customers versus the traditional demographic of 18 to 39-year-olds. Or help a dog food manufacturer to target dog owners rather than just a 25 to 54-year-old demographic. Quantium CEO, Adam Driussi, said both companies have felt for some time that data could deliver significant benefits to OOH advertisers. Read more Can Facebook retain its appeal for marketers? Read our interview with oOH! Media CMO, Michaela Chan. Cook said oOh! will integrate the Quantium data as a strategic build with other audience profiling and mapping tools, audience measurement and research and other leading research. 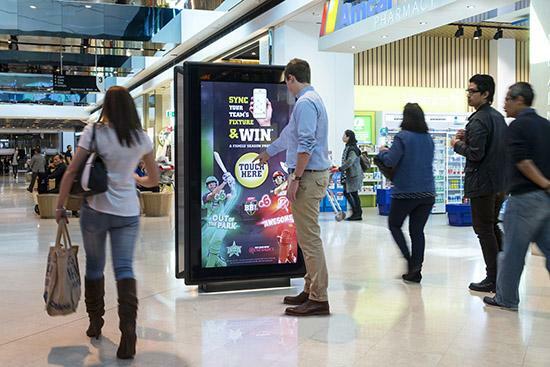 “For advertisers, it means they will be able to get consistent data and reporting across every oOh! format in metropolitan and regional areas, from our massive inventory of assets on road, in retail, airports, CBD office towers, cafés, universities, fitness centres, hotels and bars," he added. “It is a milestone investment in our digital and data strategy and another industry leading step in building our world leading approach to location based audience connections for Out Of Home advertisers. “Over the coming months we look forward to diving deeper into the Quantium data and working even closer with advertisers to help them deliver campaigns centred around delivering results."